Who’s judging? We all judge. No one wants to admit it, but everyone does it. If you are a spiritual person, it says, “Thou shall not judge,” but guess what? We all do it. It’s human nature. We judge our co-workers for what they say, how they dress, and how they act. We judge our bosses, our employees, our children, and other people’s children. We judge! As a matter of fact, we are constantly judging. We could really like a person and find out that they have a political affiliation that we don’t agree with and we second-guess ourselves. Is this person who we really think they are? We judge people based on what kinds of movies they like and don’t like and think what is wrong with them if they don’t agree with us? We judge people based on who they associate with and why? The list goes on and on. One of the biggest things we judge is manners. The word alone signifies judgment. We judge whether a person’s manners are good or poor. Etiquette and manners are about making others feel comfortable in our presence. If we are not comfortable, we judge harshly. We judge appearance. Were their clothes pressed? We judge people who wear too much cologne, and we judge people who should wear cologne. We judge table manners the most. If you are sitting across the table from someone who knows how to dine and you don’t, the judging is off the charts. It is how many corporations today are making final decisions on potential new hires. In business, we judge people who make eye contact and ones who don’t. We judge a confidence level. Does the person appear confident in their product or service? Do I like, trust, and find them credible? If not, chances are that business will not be done with this person. If you don’t believe this, think about the last time you had to buy a large-ticket item. You went into the store that carried the product. You had the money for the product. The salesman looked disheveled and hung over. He had what you needed, and you had the money, but you walked out because he looked like he slept in his clothes and you just didn’t trust him. It caused you to shop elsewhere. Think about the last time you watch a child behaving obnoxiously in public. Your first thought was, seriously, “What are they doing?” The second thought was, “Where is their mother or father?” The judgment immediately went to the parents. How often are we being judged negatively for things we are unaware of? Are you presenting the image that you would like to convey? 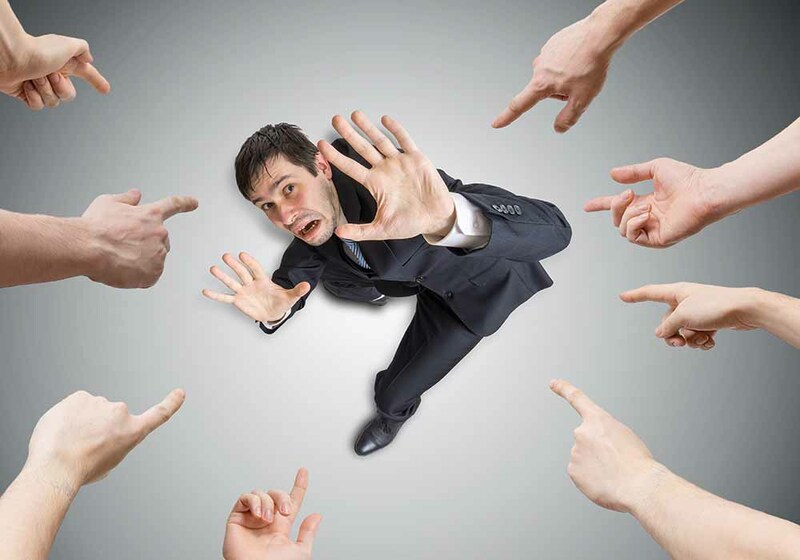 Are you judging others negatively for something that you are doing yourself? Be careful and take inventory of your own behavior and actions. You might find a couple of areas that need to be improved upon. ← What Is Appropriate Behavior in the Office?